Retreat to an internationally famous fly fishing lodge; it is time for you and your team to experience one of New Zealand’s most popular corporate retreats and Conference Venues. 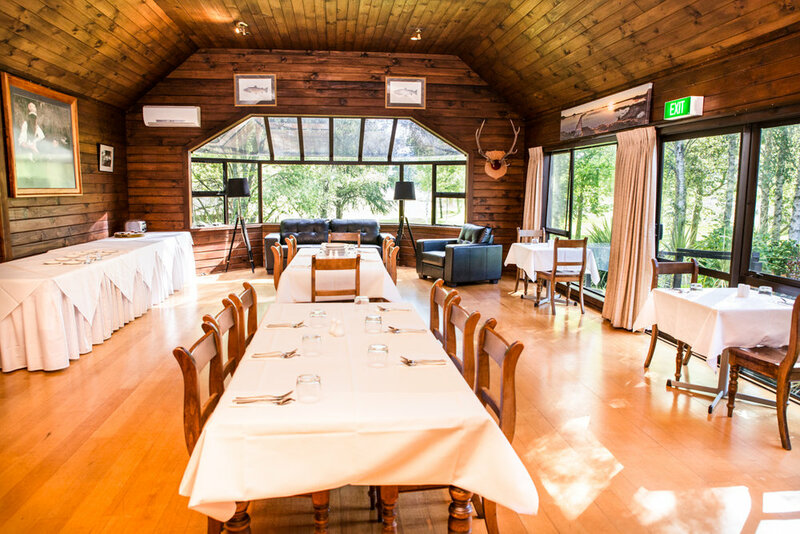 As an incentive for high performers, a small executive retreat or annual conference for up to 100 delegates, at Tongariro Lodge you will find a unique & refreshing alternative to “just another hotel or conference venue”. 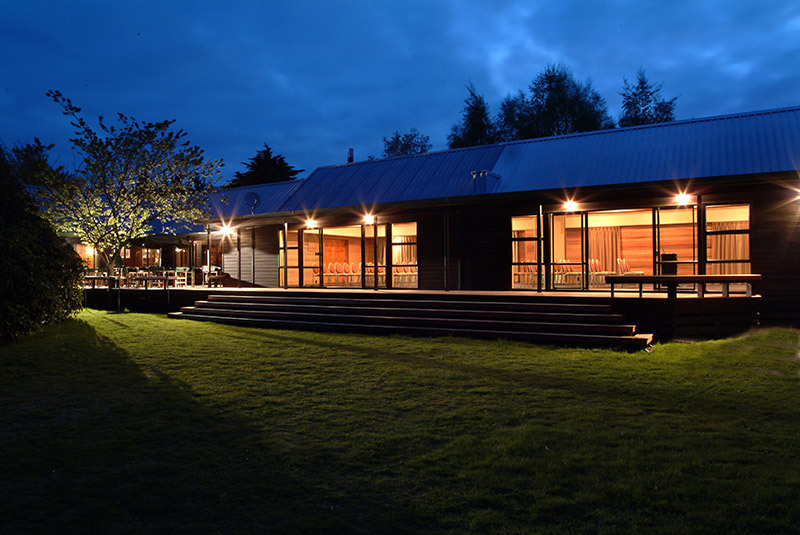 Tongariro Lodge can accommodate 100 delegates in separate single bedroom, well appointed chalets and 2 – 5 bedroom villas, all with private facilities and scenic views overlooking the Tongariro River or mountains beyond. The Delta Conference Room, provides the flexibility to host 110 delegates in style. Tongariro Lodge offers a comprehensive range of high-tech audiovisual equipment. Our dining facilities as well as the five conference areas feature large windows to enhance natural light and views. Large double doors open onto to expansive decking, which is perfect for alfresco dining or breaks. Alongside our Delta Conference Room are the Anglers Den and Riverside Boardroom. These versatile rooms offer your group the possibility of multiple breakout areas, or private dining facilities. These intimate executive boardrooms have spectacular views overlooking the Tongariro River and snow capped mountains on the horizon. 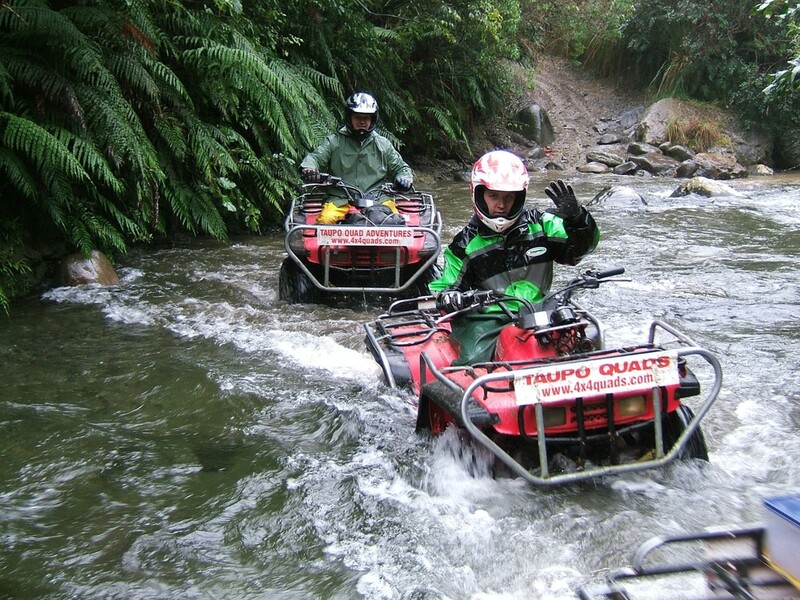 Our secluded site lends itself to a variety of team building activities. We utilise experienced operators who know the Lodge intimately and are experts in enhancing your conference. We offer a range of themed activities, events, and dinners. You’ll be surprised at what we are able to arrange – from five minute refreshers through to full day programmes. Right on our doorstep we are able to recommend a range of activities. Many only a few minutes travel away. We can provide transport if required. The region is renowned for its fishing, snow skiing and outdoor adventure activities. The spectacular scenery makes any outdoor activity an amazing experience. Whether you are organising a weekend for a VIP visitor, or a group from 5-120 guests, our friendly staff will ensure your culinary needs are met with fresh and distinctive cuisine. Dining choices can include 4 course plated dinners, buffets for larger groups, gourmet barbecues, themed dinners and an array of breakfast and lunch menus.